(As most of you know, Steve will soon be retiring from the pastorate, after serving forty years in Florida. Mid-June we move to the Midwest, to be close to our sons and their families. If our daughter and her family would just move east from Washington State, life would be near-perfect! The second half of the verse above makes clear that God rejoices in those who turn to him with faith. He smiles upon you as you express appreciation for his blessings. His eyes glisten with love as you pray for guidance and strength. He revels in the time you spend immersed in his Word. His heart fills with joy as you exult in creation. He beams with pleasure when you help a stranger. He rejoices when your heart is filled with peace and joy. Yes, there are going to be moments when we stumble back into selfishness and pride. We’re not perfect—at least I’m not. But hallelujah! God does not leave it up to us to work through the perfecting-process alone. “May the God of peace…equip you with everything good for doing his will, and may he work in us what is pleasing to him, through Jesus Christ (Hebrews 13:20-21). Wow. God not only makes clear what pleases him, he works in our hearts and minds to mold us into those kind of people. Meanwhile, I think he takes great pleasure in progress, just like human parents do. You know how it is. Mom and Dad practically shiver with excitement when their tyke takes his first step and speaks his first word. But did they expect their little one to learn these skills on his own? Hardly. With loving attention they held the little guy upright so he could practice taking steps. They repeated words countless times until their toddler could form them on his own. Now relate this situation to our Heavenly Father. Isn’t it probable he experiences the same joy as we rely upon him to take faltering steps toward spiritual maturity? 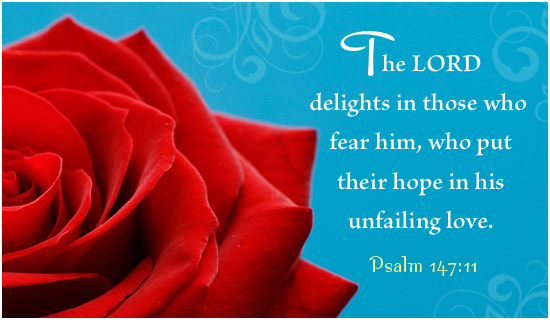 Thank you, Lord, for being a gracious God who actually delights in his children. Thank you for loving us in spite of our failings and for smiling upon our efforts, meager as they may be. Our hearts are filled with awe and gratitude to realize you, the ultimate, all-powerful King of the universe, not only care about each step of progress we make, you are right beside us, enabling. You are magnificent—I can never praise you enough! I love the clarification of the word ‘fear’ in this post. And the fact that God accepts that I am a work in progress and will make mistakes along the road of spiritual growth. He not only forgives my failings…but is cheering me on AND equipping me with the tools I need to succeed in pleasing Him. Also, His Holy Spirit is inside me guiding my progress and, indeed, helping me. Great post to revisit! Thank you, Cheri. Your comments are always so encouraging! Thanks for taking the time to post this. I really needed this today. I’m honored and humbled that God used this post to minister to you, Connie. Thank YOU for taking the time to respond!